Hays Lane serviced offices couldn’t be positioned better for London bridge train station which is literally a stone’s throw away. The business centre is packed with a variety of features which include various sized meeting rooms, lounge areas and communal kitchenettes. The Victorian building which was once a warehouse has been converted into a range of offices that come in an assortment of sizes. Rental prices are inclusive of work furniture and suites have both broadband access and telephone ports already implemented in the infrastructure. 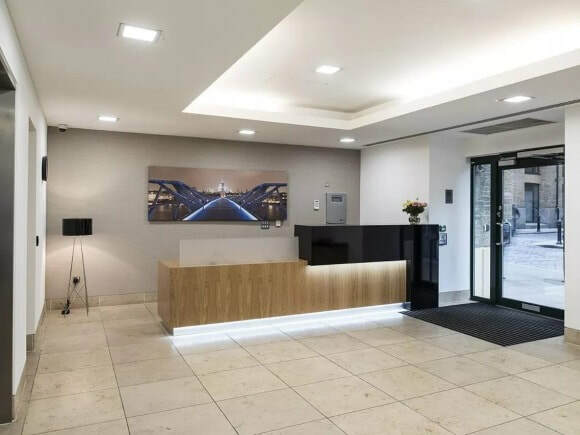 Amongst all the features this office space rental has to offer such as a main reception, there is also a beautifully interior designed lounge area on-site that will impress all who visit. Local amenities are good and transport facilities are close by giving easy access to the City and beyond.